The much awaited Chetan Bhagat’s books visual depiction ‘Half Girlfriend’ has finally released. However, will it be able to deliver to the hype that is created around this movie? 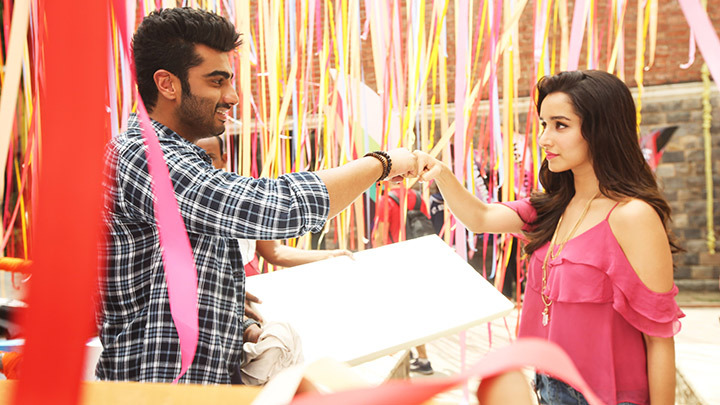 Will Arjun Kapoor and Shraddha Kapoor, take you on a journey or just leave you disappointed in the hall? We let’s discuss, as this seems to be the hot topic doing the rounds currently. Fortunately, the movie has already managed to make over 35 crores. The movie is still going smooth at the box office with an average response, and now that the buzz of Bahubali: The Conclusion is finally fading away, we can expect Half Girlfriend to show some major sales this weekend. The movie is directed by Mohit Suri, who has been giving hits since his directorial debut. Chetan Bhagat’s book’s movie adaptations are also ending up becoming a major hit, which puts a lot of pressure on this film. Youngsters have already read the novel, are all set see the movie adaptation of the novel. However, this also, increases the chances of potential criticism, as the audience already knows the story and has imagined different scenarios for each scene in the movie. Many readers are coming out of the movie, disappointed as all the scenes from the novel were obviously not added in the movie. Apart from this Half Girlfriend is the universal movie, which can be relatable to anyone in the world. This increases the potential box offices spectrum of the movie, which might interest foreign audience as much as Indians. It also the first movie of the lead actors together, so it will be interesting to see how their chemistry, fits in together.